The chameleon of camping tarps. 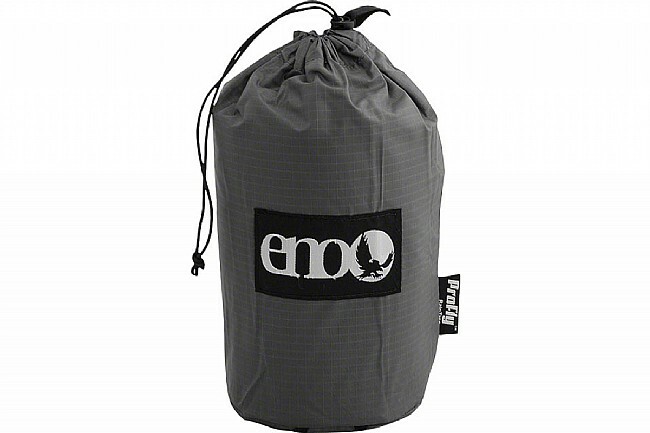 Sturdy, ultralight, and simple, the ProFly Rain Tarp from Eagles Nest Outfitters is the chameleon of camping tarps, perfect for all kinds of outdoor adventuring including cross-country bike touring, family camping trips, and ultralight backpacking. Unfolded, this tarp is over 10 feet long and 6 feet wide, providing enough coverage for a family, yet it folds up into a highly portable 10 by 4-inch rectangle that weighs only 22 ounces. 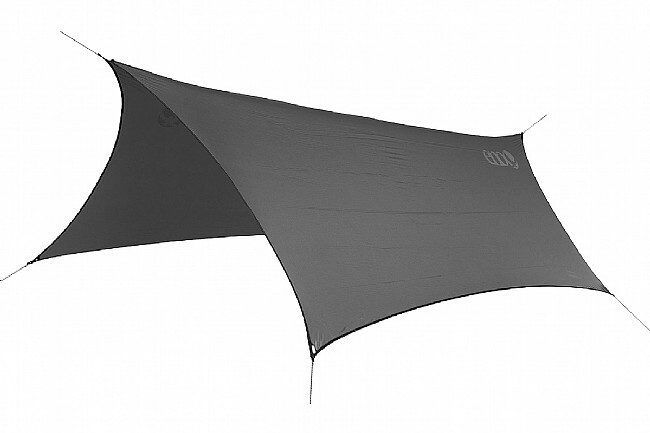 For easy set up, this tarp has six points of attachment and LineLoc fasteners. Whether you need protection from sun or rain, the ProFly Rain Tarp features a combination of polyurethane-coated ripstop nylon and stitched and taped seams that ensure thorough protection and long-term usability. Unfolded Dimensions: 10' 6" (L) x 6' 4" (W). Folded Dimensions: 10" (L) x 4" (W). Materials: PU Coated 210D Ripstop Nylon.